This is my Autavia ref. 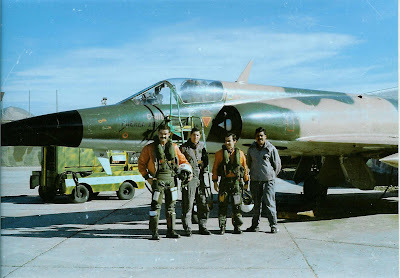 11630 MH issued to the Airforce of Argentine. There’s a few things that are different from a regular 11630 MH. 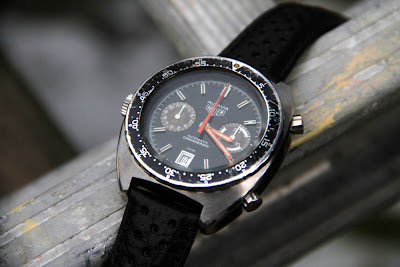 The Argentine Autavia has a deep glossy black dial. The hour and minute hands are brigth red. 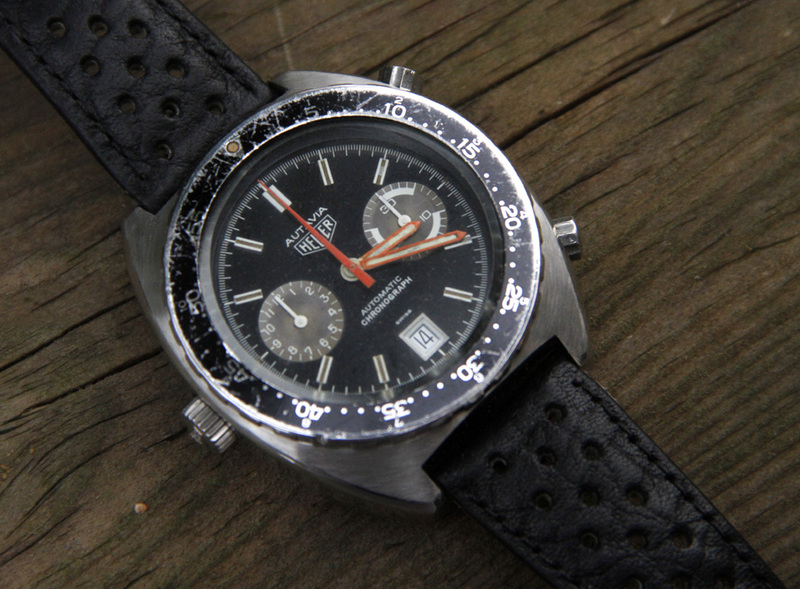 On a regular 11630 MH the dial is matt black and the hands are white og brushed steel. I really like the ”harder” look of the glossy dial and red hands. The movement is Heuer caliber 12 automatic chronograph. No suprises there. 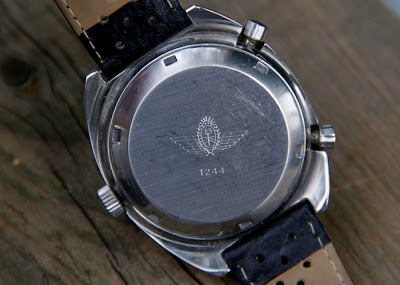 There’s a very cool military marking stamped on the caseback. The back is marked with the crest of the Argentine Airforce and a issued number. 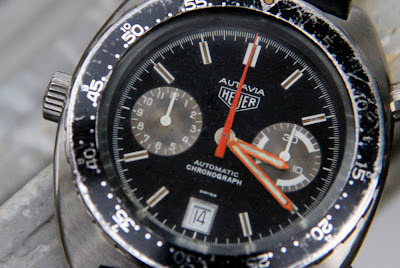 The Argentine Airforce issued several different Heuer Autavias over the years. Both early manual wind oned with Valjoux 72 and later automatic ones like mine. I have also seen GMT Autavias issued to the Airforce of Argentine. It’s now 30 years since the war raged between Argentine and England over the Falkland Islands. The war started 1982 and was over in 74 days. The fighter pilots from England did not wear Heuers. The Royal Airforce had a contract with CWC. 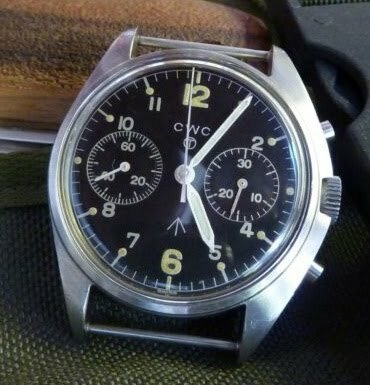 Iit’s most likely the British Tornado and Sea Harrier pilots was equipped with the manual wind CWC military chronograph. 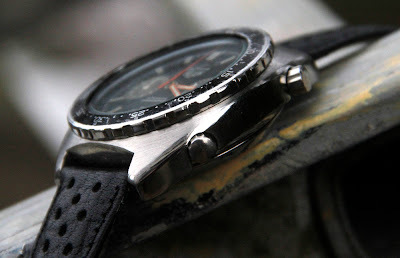 This very clean looking chronograph is driven by a Valjoux 7733 manual wind movement. 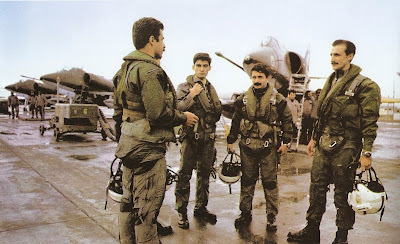 I can not know for sure if my Argentine Autavia was in action during the Falkland war, but it’s most likely that the Argentine figther pilots whore their Autavias and the 11630 is the latest ref number I have seen thas was issued to the Airforce of Argentine. It’s far from mint, but I really don’t care as it’s a issued military pilots chronograph that most likely has seen a lot of action. The wear and tear is part of the history of the watch. A watch that has been to war should not be restored to look like new.